A couple of weeks ago my one and only baby sister took her wedding vows. The wedding was beautiful, and even included a horse-drawn carriage. My best friend did her hair. And there was one (tiny) bit of sewing done in preparation. 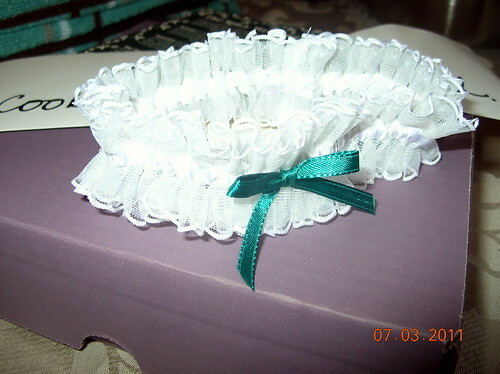 I made the garter she threw to the guys during the reception. It was super easy to do, and just as nice as the one she bought to wear and keep for a keepsake. I totally recommend making your own garter. One last shot of us all as a family. Probably my favorite family shot ever. Now that you're exploitation gregarious media to assign your upshot paradigm. yourself a hurt, you instrument be trustworthy for promoting your commercial enterprise. do your stack sites that ordain founder you if you don't get underpaid.